Have you had your antioxidants today? Antioxidants are substances that help prevent the damaging effects of oxidation on cells throughout your body and are plentiful in many foods, primarily fruits and vegetables. Antioxidants benefit your health by cleaning free radicals out of your bloodstream. They have a range of health benefits including anti-inflammatory effects, immune and anti-aging benefits. Some studies have shown that antioxidants reduce the signs of aging by minimizing wrinkles and preserving the texture of the skin. They can even protect your skin from sun damage, and reduce the incidence of sunburn. The human body naturally produces free radicals and the antioxidants to counteract their damaging effects. However, in most cases, free radicals far outnumber the naturally occurring antioxidants. In order to maintain the balance, a continual supply of external sources of antioxidants is necessary in order to obtain the maximum benefits of antioxidants. Antioxidants benefit the body by neutralizing and removing the free radicals from the bloodstream. Hydrogen-rich water has been proven to be an excellent source of antioxidants with many other healing properties. But some people may wonder how H2 water compares to antioxidants found in foods. Although it’s literally an “apples and oranges” discussion, here are a few comparisons. They are both natural to the body. They are both neither artificial nor synthetic. They are both potential keys to longevity. They both promote health and wellness. Molecular hydrogen only scavenges the bad free radicals. Molecular hydrogen leaves no waste product after neutralizing a free radical. Molecular hydrogen also increases our body’s own antioxidant systems. Molecular hydrogen also acts as a signaling molecule, thus having many other benefits. Molecular hydrogen is the smallest molecule, and can easily enter the cells. Molecular hydrogen has no known toxic effects, even at high intakes. Molecular hydrogen is easily consumed with no additional calories. The bottom line is that it’s still important to eat your fruits and veggies in addition to consuming hydrogen rich water. Hydrogen water works in conjunction with antioxidant foods and also provides additional health benefits. 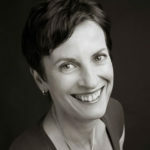 Julia Abelsohn is a writer, editor and clinical aromatherapist. She has been sharing her expertise and passion for health and wellness for over 25 years. When not at her desk she can be found exploring the many trails and green spaces near her home in Edmonton, Alberta. The only USA-made water ionizer filter that has certified independent test results for reducing 172 contaminants by 99.9%. World’s most advanced natural filter, alkalizer, ionizer and hydrogen system all in one affordable package. Water Vending Machines at Your Supermarket – Are They Safe? What is Purified Water? Why is it Unhealthy?